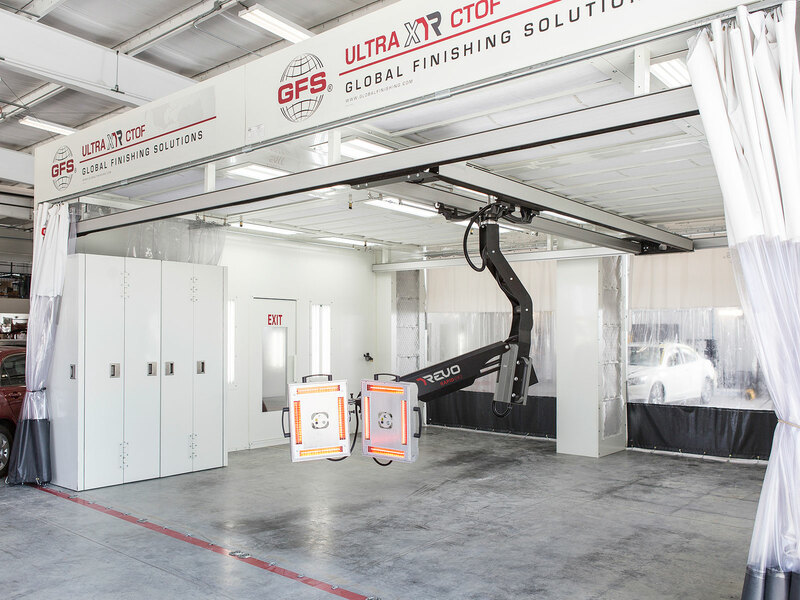 Improve your paint shop efficiency without having to overhaul your space with REVO Accelerated Curing Systems from Global Finishing Solutions. 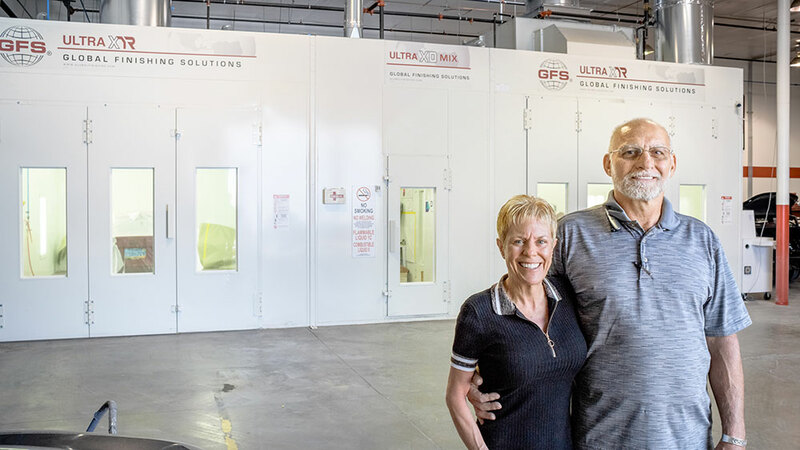 The revolutionary technology cures filler and coatings quickly from the inside out, offering the fastest curing time in the industry for both prep and paint processes. 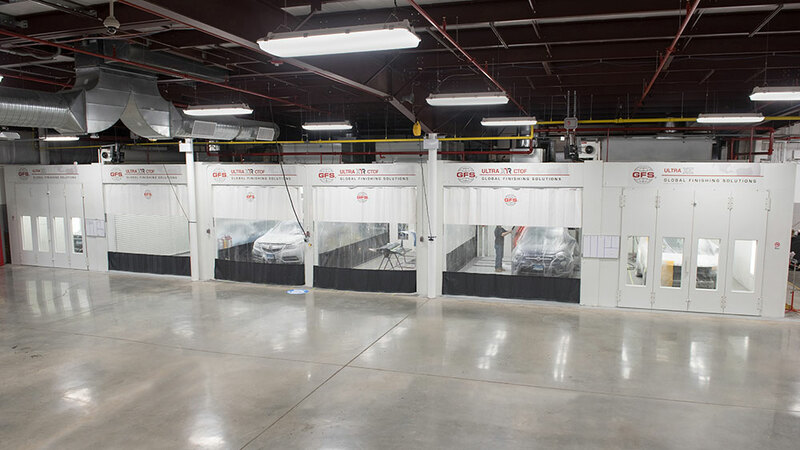 REVO Systems can increase your paint shop throughput by up to 80 percent. Easy to operate and install, REVO Systems save time and improve results. With multiple models designed to fit a variety of needs, there’s a solution to start saving you time and money immediately. Repair cycle time is shortened and rework is significantly reduced thanks to the high quality, complete cure REVO Systems always deliver. Now until 4/30/19, REVO MC2 is available at a limited-time price of $10,995. 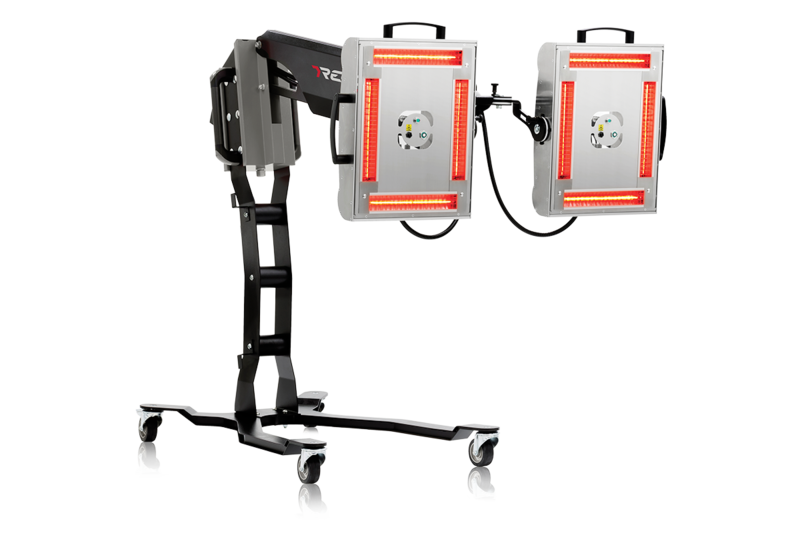 REVO Accelerated Curing Systems use short wave electric infrared technology, which provides significant throughput gains, energy cost savings and quality improvements. Curing time for both prep and paint phases of repair can be reduced by hours, freeing up your technicians to complete additional repairs. There is no need to add accelerators to speed curing time; the fast dry time and complete cure from electric infrared curing technology delivers high quality results that reduce the need for rework. Electric infrared energy costs are a fraction of the energy costs to run a conventional system. REVO systems take just a fraction of a second to heat up and are ready to cure a repair immediately. Cool down is also very quick so the systems can be turned on only when needed and are safe to handle shortly after shutdown. 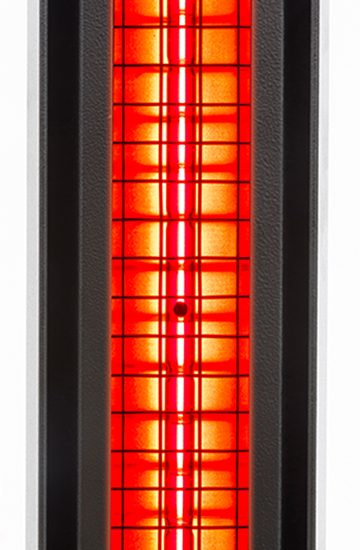 REVO Systems deliver consistent, controlled heat. Temperature is precisely regulated by easy-to-operate controls. With short wave infrared curing technology, the drying energy is concentrated on only the panels needing repair and penetrates multiple layers of coatings to heat the substrate beneath. REVO Systems consistently cure primer, sealer and paint. The fast positioning of REVO Speed makes this premium model best suited for body shops that perform large volumes of average repairs on one to four panels. The single-cassette REVO Spot is a great solution for quickly curing small surfaces. REVO Rapid is designed for full panel repairs or body shops with space restrictions. The REVO Handheld is lightweight and features an ergonomic handle, making it ideal for rapidly curing filler, primer and clear coat. Want to learn more about revo accelerated curing systems? 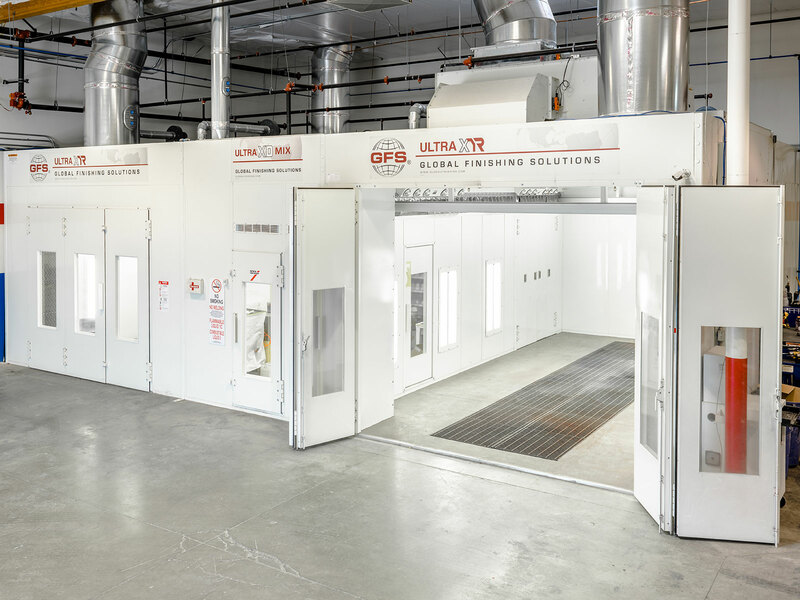 The Ultra® XR Paint Booth is a premium downdraft spray booth that is integrated seamlessly with the REVO Speed — creating a top-of-the-line spraying and curing environment. The Ultra® XR Closed-Top Open-Front (CTOF) is an end-to-end prep, paint and curing environment. 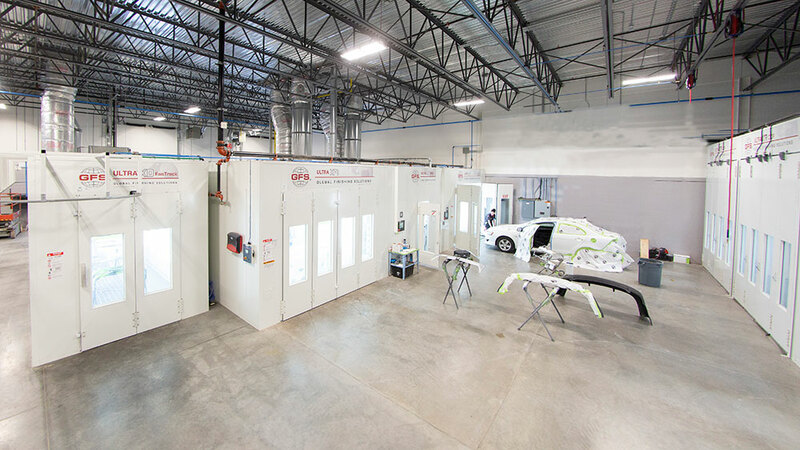 By integrating REVO Systems into this versatile finishing environment, vehicles can be filled, primed, sealed, painted and rapidly cured in one location. Drastically reduce the time it takes to complete spot repairs with the REVO Rapid MC2. This versatile curing unit uses short wave electric infrared technology and can cure primer on two different panels in less than 11 minutes. With temperature sensors on each cassette, REVO Rapid quickly cures coatings on two different substrates at the same time, maintaining proper temperature. Available on a cart with heavy-duty wheels, the MC2 is easy to integrate and move around your shop. From now until April 30, 2019, REVO Rapid MC2 is only $10,995. WANT TO KNOW MORE ABOUT OUR revolutionary PRODUCTS?